Laurona 6 Vinyes 2006 | Catalan wine in a nutshell! Its colour is deep, almost opaque, and intensely red, with some bluish tones. Its rich, complex and with subtle aroma which initially evokes blackcurrant, plums and figs blended with oaky notes. As the wine aerates, it becomes concentrated, unctuous and powerful, with clear balsamic notes. Intense, complex and changing. Very clear aromas of plums and ripe figs, complemented by a subtle background of vanilla and cinnamon. Extremely ripe tannin feel immediately fills the palate, saturating it with vivid and persistent sensations. A truly great wine that will remain alive for the next decade. A delicious wine to be enjoyed with friends and if you don’t have any friends? Well, in that case you’ll have to enjoy it yourself! 6 Vinyes by Laurona is produced with the intention to represent the authentic winemaking tradition of the region. This is why 6 Vinyes is is made only with Grenache and Carignan varieties, from the oldest vines of six very unique estates, selected for their ideal soil and climatic conditions. The essence of Montsant in a bottle! Is that what Laurona is about? Want to meet the makers of history? 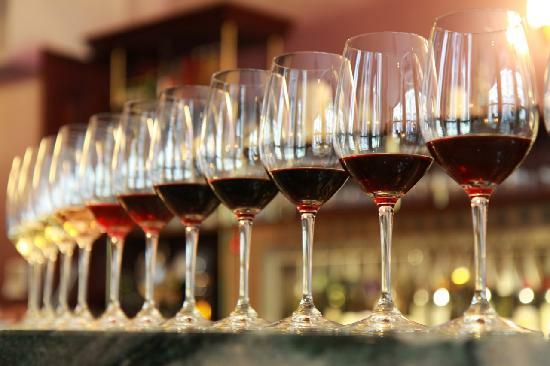 Want to experience the essence of Montsant wines? Or do you just want to enjoy a quiet morning discovering yet another little winery in Catalonia? Well, in any case you are in the right place to start with! And you are always welcome to call or write and set up your own little wine adventure in Catalonia, the Sweet & Easy way! 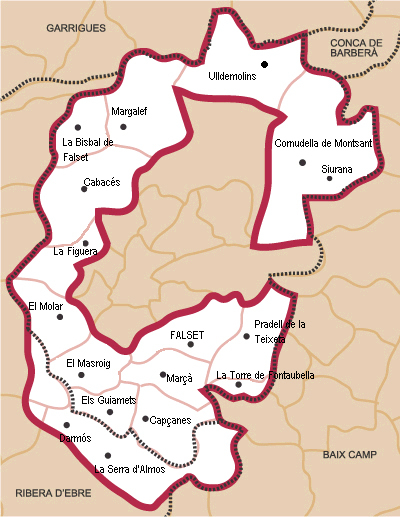 The Denomination of Origin Montsant is ring-shaped, circling practically all of the DOQ Priorat area. Formerly D.O. Montsant was a part of D.O. Tarragona, but with its unique characteristics, and similarity to the wines of the Priorat area, the winemakers wanted to separate their wines from the rest of the produce of Tarragona. So, in 2002, D.O. Montsant was created, enabling the vintners to present the vineyards under one common distinction. The characteristics of the DO Montsant wines are the local varieties Garnacha and Carignena which together with the qualities of the soil and climate and the contribution of other grape varieties produce excellent wines. 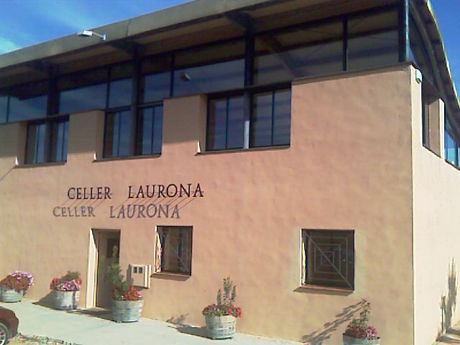 The winery Celler Laurona is situated in the very heart of Montsant, where the wine is elaborated and carefully aged under controlled conditions. The vineyards however are located in different areas of the D.O. Montsant, in small estates in Figuera, Falset, Darmós and Masroig. Plini 2009 is a red wine from Celler Laurona. High quality, modern expression, high complexity, elegance, maturity and harmony are the result of picking the best grapes from the best vineyards of Garnacha, Carignena and Syrah from their own estates. After 15 months of ageing in 500 litres French oak barrels, and several months in the bottle, the launch of the first limited production of only 4.000 bottles of this exclusive vintage, was a hit! 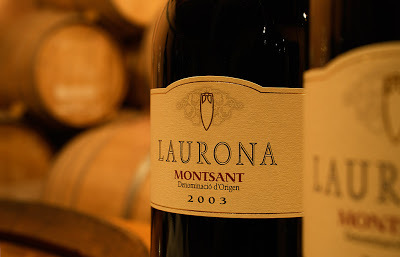 An excellent and peculiar soil, gives the wines from Laurona their personality with a marked Mediterranean character; soft on the palate, but with a great structure and a warm aromatic expression, fruity, fresh and complex. All its features are taken from the coupage of Garnacha from the estate of La Figuera, with the concentration from Carignena, Merlot, Syrah and Cabernet Sauvignon from the vineyards of Falset, Darmós and Masroig. But without any doubt, what characterizes the wines from Laurona, is the elaboration and ageing that permits the total expression of the terroir character. After caring for the vineyards respecting the environment, and a careful harvest, all the grape varieties arrives to the winery, where the artesan wine making process begins. In the Celler Laurona the whole process is performed manually, from the selection of the fruit, grape by grape, to eliminate the ones that do not fulfil the requirements of quality, then the fermentation, maceration and ageing in 500 litres French Oak barrels. An excellent extraction is obtained by working in controlled temperature conditions during 30 or 40 days, and extracting the colour and taste from the grape peels, by gravity, to avoid an aggressive treatment to the wine. The ageing, always performed in the best quality French oak, makes a fine and elegant finish to the robust wine. 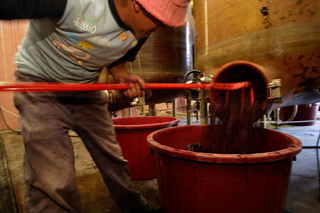 The wine is not clarified nor filtered, in order to preserve the natural qualities, and the quality controls before bottling guarantees an excellent final product. After a second ageing in the bottle when the evolution is optimal, the wine is finally launched for consumption. 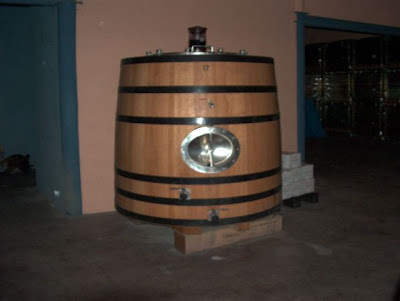 The winery is located in an old factory dedicated to the manufacture of timber doors for gym lockers but it has been adapted perfectly for the production and aging of wines. The winemakers of Celler Laurona, René Barbier and Fernando Zamora supervise the whole production and control the quality. They are both experts on the local terroir and the possibilities of each harvest. Together with their long experience as winemakers, they guarantee the best results. From this patient and careful vinification, two wines are made: Laurona and 6 Vinyes de Laurona. 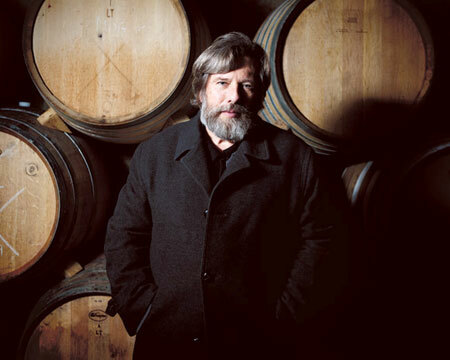 Two wines which keeps the secrete of a good wine, and have received high ratings (always above 90 points) by the famous wine critic, Robert Parker. 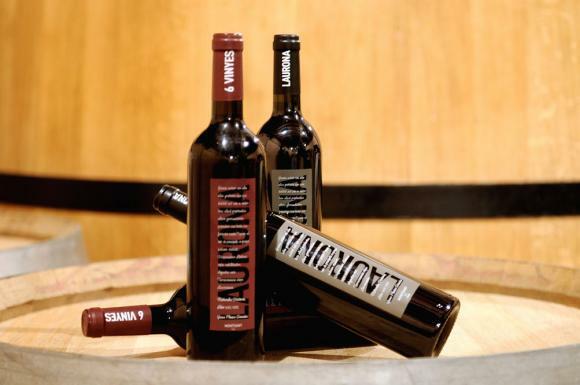 Laurona has also been included in two occasions on the list of the 100 most competitive wines in the world, published by the Wine Spectator magazine. 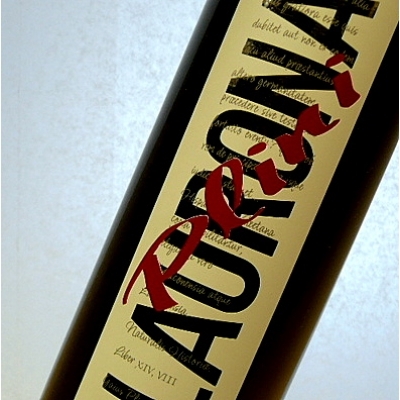 These international rewards, and the great success of the terroir itself, backs up the quality of Laurona, a clearly Mediterranean wine, result of a unique talent and sensibility which makes it really magical. Deep red colour with violet rims, showing signs that it’s still a young wine. The aromas intoxicates initially with notes of currants and blackberries being easliy distinguished, all surrounded by a dairy background. Really intense, slowly it shows the many facets of its personality. As it opens up, aromas of cinnamon, coffee and especially violets appear. The complexity grows and finally, after an hour, it shows all its properties, especially in the mouth. A truly opulent wine. Featuring a remarkable tannic concentration, structured, friendly and mature. Good acidity and structure, and the passage through the palate is surprisingly fresh and sweet. Its finish is really long, distinguishing all the aromatic complexity described above. A truly great wine that will improve over the next decade.